eating irradiated food is detrimental to ones health. that acquiesces so readily to industry, in spite of overwhelming evidence. and abandoned by the FDA to read industry supported documents. or to know where these irradiated foods are being used." A short article on the history of British nuclear testing in Australia and a discussion of Canberra's motives for cooperating with such tests. Also contains short biographies of prominent Australian nuclear scientists. A brief history of the lab at Brookhaven, it's founding, development and achievements in nuclear physics and nuclear energy research. Albert Wattenbert writes in the Bulletin of Atomic Scientists about working with Enrico Fermi to create the first chain reaction. Greenpeace report documenting the radioactive legacy of an American underground nuclear test on the Alaskan island of Amchitka. Discusses nuclear weapons, the survivability of nuclear blasts, weapon totals for the nuclear powers, and specific data regarding the UK program. Online tour of exhibit on the development, use and technology of the nuclear bomb. Covers the origin of the idea of nuclear weapons, building the facilities to produce materials, research and develop nuclear weapons. Outlines the Energy Department's work to clean up contamination at DOE legacy sites. Covers the US failed project to produce atomic powered aircraft. A detailed look at the technology involved as well as materials relating to the reasons the program failed. A history of one of the Soviet Union's leading atomic research institutes. Includes a virtual museum of tactical and strategic nuclear weapons and delivery systems. Wide range of vetted, indexed, annotated references for the study of nuclear issues. Collection is searchable and includes books, articles, films, CD-ROMs, and websites. The A-bomb and atomic testing were entirely new phenomena in history and there was a variety of opinion about the tests and the weapon. This article used polls and journalistic impressions to discuss the spectrum of this opinion. A biography of Andrei Sakharov and his contributions to Soviet nuclear weapons research, nuclear fusion, cosmology, human rights, and world peace. Includes a bibliography and links to related sites. Documents the atmospheric atomic bomb tests conducted at the Nevada Test Site during 1957. Compiled using government press releases and images, with comments by soldiers and citizens. A collection of speeches, articles, and full text documents on nuclear safety, legislation, and treaties. Map of nuclear hazards in the US, links section and NucNews, a collection of news clippings, archive available. Reports, tables, and statistics on nuclear stockpiles, strategic nuclear forces, and nuclear test programs of the United States, Russia, France, China, and Great Britain. Read about the first generation ICBM missile Silos put into service by the United States Air Force during the early 1960's. Timeline of nuclear weapon development, biographies of atomic scientists, accounts of nuclear tests, arms-control treaties, full text original documents, an image and video gallery, a glossary and teachers guide. Quotes and information about the bombs dropped on the Japanese cities of Hiroshima and Nagasaki. Small picture gallery. Full text and illustrations from the 1950 atom-war survival guide. Nuclear weapon history site. Information on the Manhattan Project, the bombing of Hiroshima and Nagasaki, and nuclear weapons technology. Luxembourg site in English. Information about a symposium on the Manhattan Project, a film, the goals of the Foundation and other projects. Personal narratives, photographs of exercises and tests at the Nevada Test Site, 1946 to 1962. Information on Bikini Atoll in the Marshall Islands, the site of many American nuclear tests in the 1940s and 1950s. Includes a history of the islands and the nuclear tests as well as information on efforts to clean up radioactive contamination and US reparations. Provides a free version of Bob Myers' childhood memoir about growing up in the 1950s in the shadow of the Hanford A-Bomb plant. A chronology of Canada's contributions to the nuclear weapon programs of several countries. Includes material on the production of plutonium at Chalk River and the accident there, the development and export of CANDU reactors, a picture gallery and other material. A detailed chronology of events significant in the development of nuclear weapon technology. Covers the entire twentieth century. Dates and map of US nuclear weapons tests in the Marshall Islands in the Pacific Ocean. A timeline with entries relating to the dislocation of the people of the Marshalls and damages resulting from the testing. A biography of Stalin's enigmatic director of the Soviet project to build the atomic bomb. Details his efforts as head of the project to develop first the atomic bomb and then the hydrogen bomb. Includes documents and links. Provides updates on the nuclear industry in Japan, follows events in depth that affect the public and publishes informational literature on nuclear topics. English version of a Japanese site. Historical information regarding the damage from the bombing of the city. Also includes information about the Peace Memorial, the A-Domes registration as a World Heritage Site, and about the city today. Details of surface and subsurface atomic tests conducted in the United States and their impact on human health. Includes maps of test sites and links to summaries of individual shots. Documents and analysis of the Comprehensive Test Ban Treaty, ratification, nuclear testing, Stockpile Stewardship, and monitoring and verification. A large collection of articles, links and documents relating to the Comprehensive Test Ban Treaty. Devoted to atomic culture past and present. The creation of writers who grew up in the shadow of the bomb and all its attendant pop culture fallout, list of atomic links. Large site by the Children of the Manhattan Project group with biographies, articles, photos, historic documents and other materials relating to the Manhattan Project. Information on the historic buildings at Hanford, photographs, B reactor documents, a chronology of Hanford, treatment information, the agreement with Washington State, and other documents. Recently declassified footage of nuclear tests. Tapes are available for order. Clips and descriptions are available to view at the site. Documents relating to stockpile, testing, safety, reactor programs and other nuclear issues made available under the Openness Initiative at the DOE Secretaries June 27, 1994, Press Conference. Documents relating to classification of DOE Material, reprocessing, plutonium and other nuclear issues made available under the Openness Initiative at the DOE Secretaries February 6, 1996, Press Conference. A large collection of original documents relating to the decision to develop and use the atomic bomb. Historic reports from the Manhattan Project, and correspondence, memos, diary entries and reports from a variety of major decision makers of the period. A collection of historic still photos of nuclear tests at the Nevada Test Site and in the Pacific Ocean. Also includes photos of test preparations at the Test Site, waste management facilities, other infrastructure at the site, and wildlife living on the site. Links to full text historic reports on various aspects of nuclear weapons testing by the United States available for download in PDF format, including "United States Nuclear Tests, July 1945 through September 1992" a listing of every test. Discusses missing nuclear materials from the former Soviet Union, suitcase bombs, interviews, readings, the future of nuclear weapons and the Russian nuclear complex. Daghlian worked for the Manhattan Project. The site tells his story and serves as a memorial. Online tour of the museums holdings in the area of health physics including a large selection of radioactive quack cures, dosimeters, geiger-mueller counters, fluoroscopes used to fit shoes, and x-ray apparatus. Early in the century many health claims were made for radioactive substances and apparatus. High Energy Weapons Archive - http://www.fas.org/nuke/hew/. Discusses the physics of the various types of nuclear weapons and the effects of nuclear explosions. Includes a history, images, and chronology of atomic and thermonuclear weapons testing. Links to resources on the history of national and international efforts to ban all nuclear weapons testing. Includes resources on past American presidents' policies toward nuclear test bans. A time line covering the period from the 1940s to the present day and detailing the development of safety features, practices and systems in nuclear power plants. Includes bibliographic references. A brief history of nuclear testing worldwide by Greenpeace. Historic photographs, full text of a detailed history of the site and the part it played during and after WWII, a timeline, the directors and contractors through the years and fact sheets. An account by a long time employee of the beginning and development of the Pantex plant which produces nuclear weapons. Part of a larger site that covers the current mission of Pantex. A complete history of the development of the Hanford Reservation site during the Manhattan Project and the Cold War, covering the period from 1943 to 1990. Details the construction, operation and history of facilities on the reservation. The story of the development of the Soviet bomb and its effect on physics in the Soviet Union. Discusses the political pressures of Stalinist Russia on the study of physics and the conduct of the effort to produce a bomb. By the Avalon Project of the Yale Law School, has original documents from the findings and recommendation of the Personnel Security Board in the case of Dr. Oppenheimer. Includes letters, and the opinion written by the Atomic Energy Commission. Reference materials, current issues, editorials and data on the nuclear programs of India and Pakistan. Has maps, links to media sites, links to sites from both countries, and a collection of Nuclear Control Institute documents on the issues involved. A history of the Atomic Age of the 1950s. Includes links to a few feature articles from the 1950s that let the reader get an idea of the social impact of atomic weapons on American society. A museum about Igor Kurchatov, head of the USSR's A-bomb project, and Soviet nuclear weapons research. Provides virtual tours of Kurchatov's life and Soviet atomic research facilities. Scientific history of the Ernest Orlando Lawrence Berkeley National Laboratory's first 50 years (1931-1981). Leo Szilard (1898-1964) participated in the American Manhattan Project but afterwards became a leading critic of the Cold War nuclear arms race. Includes biographical information, documents, photos, audio, links. Virtual version of an museum exhibit. Addresses the ambivalence of the public toward atomic power and weapons in the period between 1945 and 1965. Articles, photographs. A collection of links from the Los Alamos Nuclear Laboratory on its role in the history of American nuclear weapons development. Dr. Slotin was a scientist involved with the development of the atomic bomb as part of the Manhattan Project. Tells the story of his work, life and death in an accident at Los Alamos. Information, atomic timeline, how fusion works, how fission works, survey, forums, test, and explanation of the atom. Chronology of the development of the atomic energy agency in India and the achievements of the agency in both power production and weapons development. A museum covering the historical development of atomic energy and armaments. Includes virtual tours of Manhattan Project, nuclear arms, delivery systems, nuclear non-proliferation, and non-military applications of nuclear technology. A brief history of the agency and it's predecessor, the AEC. An archive of articles on nuclear armaments, testing, test bans, and treaties. Links to articles on related topics including nuclear power, NATO, disarmament and the arms trade. Nuclear Age Timeline, The timeline traces the nuclear age from the discovery of x-rays and radioactivity to the explosion of the first atomic bomb through the cold war to its thaw and the cleanup of the nuclear weapons complex. Database of nuclear explosions, image gallery of test photos of US and other nuclear tests, chronology and background information on nuclear weapons. A brief history of the Department of Energies responsibilities for uranium stewardship, a time line of uranium history, photos, links to current information about uranium use and sales in the US today. History and technology of nuclear weapons and power. Discusses Manhattan Project, development of the Superbomb, nuclear testing, nuclear energy issues, waste and other related topics. Collection of Nuclear Notebook columns from the Bulletin of Atomic Scientists by Robert S. Norris and William Arkin of the Natural Resources Defense Council from 1995 through the present. Information on Indian and Pakistani nuclear weapons research and development. Includes statements, position papers, research and analysis, news coverage and opinion polls, and related information on nuclear proliferation. In depth collection of links to nuclear news, information, research, searches on nuclear topics, software to model nuclear blast effects, history, commentary, and links pages. Information on nuclear weapons design, production, materials, testing and effects both historic and current. Includes diagrams and explanations of the physics and engineering involved in weapons design. An online photographic tour of the museum at the Los Alamos of the former Soviet Union, Arzamas-16. Photos and descriptions of the first Soviet atomic bomb, hydrogen bomb, the development of tactical and ballistic weapons, and the installations used for testing weapons. An examination of the effect of the atomic age on popular culture in America. Deals with everything from mushroom clouds on record covers to movies and comic books. Detailed information from the US Navy Historical Center on Operation Crossroads, the first postwar nuclear test conducted at Bikini Atoll. Includes the composition of the task force, data on the target ships, historic artwork depicting aspects of the opperation, sources and links. History of the Oak Ridge National Laboratory from the 1940s to the 1990s, including the Manhattan Project era. Details the building of the lab, addition of facilities, the scientists who worked there, and the surrounding communities. A history of the discovery, development and consequences of nuclear energy including the economic, social, philosophical, environmental and political results of the influence of nuclear energy. Includes photos, definitions of terms used, links to further information and a description of the physical principals of nuclear energy. Fact sheet on Pakistan's nuclear weapons tests, reactors, research facilities, uranium enrichment and plutonium and tritium production plants, and weapons manufacturing facilities. Includes map. Provides documentation on the development of NATO and the Warsaw Pact during the Cold War, their mutual threat perceptions and military plans, and their significance for our time. It presents new evidence from the archives of both NATO and former Warsaw Pact countries. Position papers describing PSR's opposition to nuclear testing, on test bans, and on related topics. Essay on the war time history of the physics department of Purdue University detailing work done there as a part of the Manhattan Project and in physics in general. Collection of links on the history of radiation and radiation protection. Information on the physical, medical and epidemiological effects of the bombing of Nagasaki. 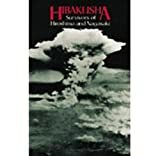 Includes the testimony of Dr. Raisuke Shirabe, maps of the destroyed areas, and a list of links for further information. History of early ICBM's, missile launch facilities, the work of the missileers, collection of historic photos of silos under construction, in operation and the missiles they contained. An outline of the history of the Savanna River Site and it's part in the story of the atomic bomb. Film Documentary. Traces the history on how top-secret nuclear technology was sold to Third World nations. Material from the documentary on the US/Soviet race to develop the hydrogen bomb. Includes a timeline, photographs, the people who were involved, maps, film clips of nuclear tests and a teachers guide. An overview of the Manhattan Project, the use of the bomb, the development of the Cold War and the physics of nuclear weapons. Includes photographs and a bibliography. Describes the process of fission as it relates to the bomb, covers the effects on people and buildings, has a timeline of events in the development of the bomb, and photos of Hiroshima and Nagasaki as well as other bomb effects. History of the development of nuclear energy, human radiation experiments, the effects on people of the developments in nuclear physics. A short history of Pvt. Bill Bires' military duty with Co."A" 231st Engineer Combat Battalion at the Nevada Test Sites Camp Desert Rock for the test series Buster Jangle in 1951. A young African-American man's reminiscence of growing up in the shadow of nuclear annihilation during the 1950's. Educators may copy it freely. The Bureau of Atomic Tourism promotes tourist locations that have either been the site of atomic explosions, display exhibits on the development of atomic devices, or contain atomic weapons delivery systems. Includes links to related materials. Article discussing it's origins, impact on the social history of the US and Russia, effect on foreign policy, the arms race, and the lessons learned. Includes photographs and opinion pieces on Cold War topics. An examination of the impact of the advent on nuclear weapons on society and culture in the West. A large collection of quotes on the subject, photos, and analysis of the influences and their consequences. 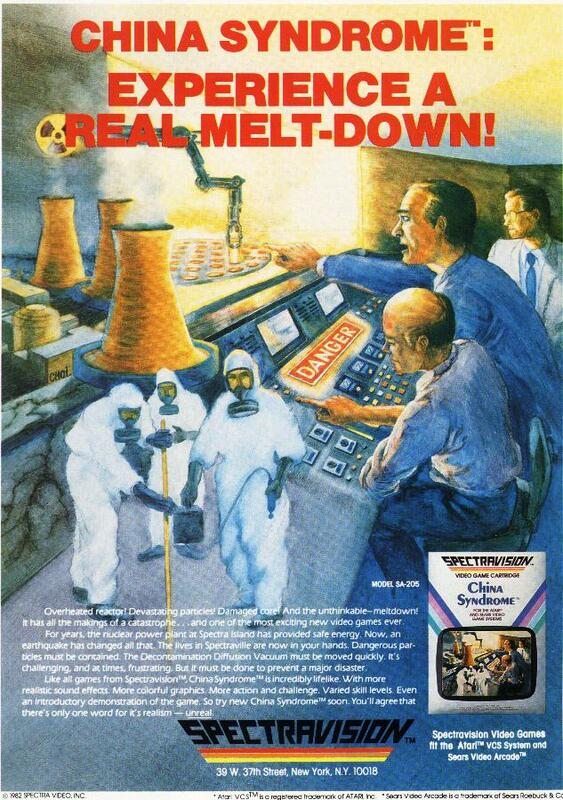 Large excerpt from "The First Reactor," published December, 1982 by the U.S Department of Energy. Discusses the first sustained nuclear chain reaction which occurred in 1942 at the University of Chicago. Key dates in the history of nuclear armaments tests and efforts to ban these tests. An examination of the changes brought about by the development of Hanford as a part of the nuclear weapons complex and the effects on the region over the course of the period from the 1940's through the current time. A history of the politics and policies of the Soviet atomic and thermonuclear weapons research by one of the USSR's leading nuclear scientists. Article about the scientists involved in developing Britain's atomic bomb with supporting materials regarding the physics and technology involved in the project, and underground testing. Links to diagram of modern warhead and article about the ratification of the Comprehensive Nuclear Test Ban Treaty by the UK. A large collection of information and links on nuclear weapons put together by the Natural Resources Defence Council. Includes governmental, technical and news media sources as well as non-governmental organizations, with appendixes on DOE policy, weapons treaties, GAO reports and other information. Traces connections between UFO sightings and the history of US nuclear research and development activities. Explore political and ethical dilemmas, challenges of the Nuclear Age. Discusses waste, power, weapons, the scientists and politicians involved, strategy, treaties, and other aspects of nuclear policy. Text of the 1963 treaty signed by the US, the UK, and the USSR banning atmospheric, oceanic, and extraterrestrial testing of nuclear weapons. Covers the history of the Pershing. Includes a detailed chronology, historic photos, film clips of launches, and materials related to design and testing of the system. A site promoting a CD Rom set containing an encyclopedic history of U.S. nuclear weapons history. Gives examples of articles contained on CD, the table of contents, ordering information and a periodic newsletter. Annotated list of nuclear weapons facilities operated by the US Government or by contractors on their behalf. Includes date of establishment, function, and other information including links to the official web page of the facility and its contractor. Describes the mission and capabilities of the system, includes photos, launch history, diagrams of the components of the missiles and their launch facilities and crew details. Collection of links on a variety of nuclear topics, including: university programs, job openings, reactors, anti-nuclear groups, weapons testing, waste disposal, computing, health physics, and engineering. (the Atomic Bomb Movie)Website devoted to documentary films dealing with atomic history and obscure material on atomic testing. 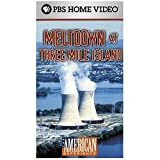 Contains many unique and rare QuickTime movies and jpeg photos regarding atomic testing and nuclear detonations. Discusses nuclear weapons technology, the effects of nuclear weapons, atmospheric testing, civil defence, and nuclear accidents. Includes an gallery of test photos and an annotated bibliography. The Brookings Institution studied the history of nuclear weapons development, production, and testing in the United States. Extensive information on historical weapons programs and their costs. A short history of American nuclear weapons deployments on foreign soil, often without the knowledge of the host country, from 1945 to 1977. Includes graphs of deployments by region. Biomeds to ship radioactive waste to South Carolina. industry wants support for radioactive waste site.